Professional baseball player Rickey Henderson set the single-season and career records for stolen bases over his 25-year Hall-of-Fame career. 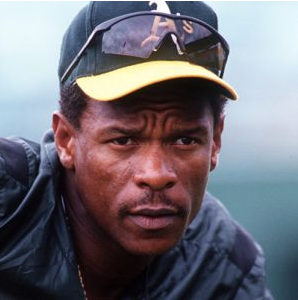 Born on Christmas Day 1958, in Chicago, Illinois, Rickey Henderson was selected by the Oakland A's in the 1976 baseball draft. The dynamic leadoff hitter set a record with 130 stolen bases in the 1982 season, one of 12 times he led the league, and was named the American League MVP in 1990. 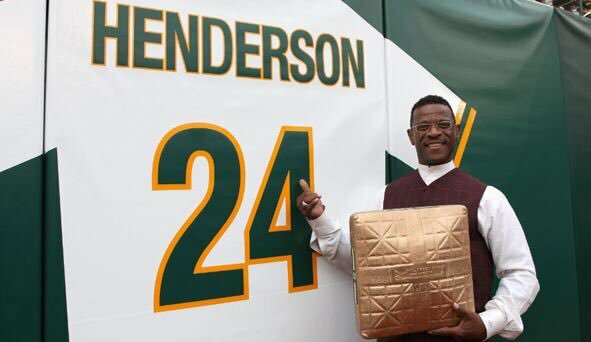 Henderson retired as baseball's all-time leader in steals, runs scored and walks and was elected to the Hall of Fame in 2009. 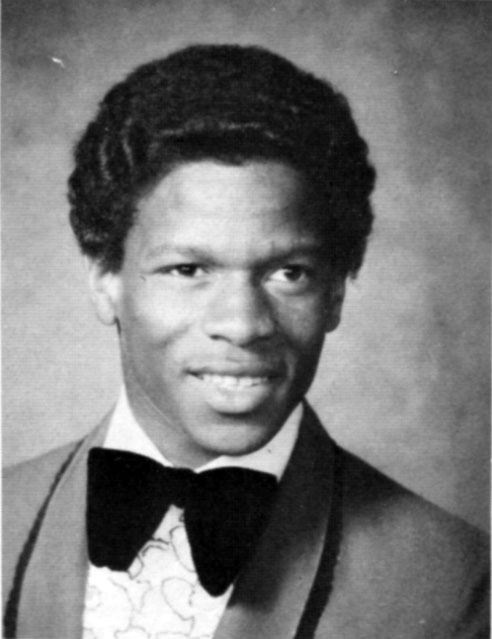 Rickey Nelson Henley was born in the backseat of his parents' car on December 25, 1958, in Chicago, Illinois. A toddler when dad John left the family, he moved with mom Bobbie to his grandmother's farm in Pine Bluff, Arkansas, where he developed his quickness by chasing chickens around. Bobbie eventually moved her children to Oakland, California, where the family assumed the last name of her new husband, Paul Henderson. 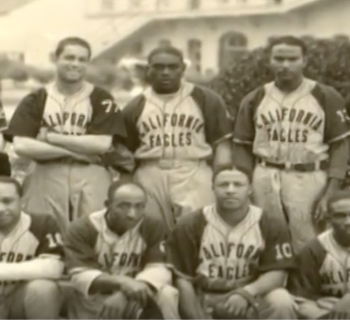 The future baseball great began spending his days at Bushrod Park, proving his athletic capabilities across an array of sports. With his speed, Henderson became an All-American running back at Oakland Technical High School. He also excelled in baseball, producing a .716 batting average as a junior. 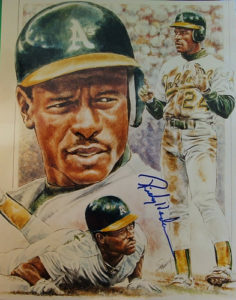 Henderson was selected by the Oakland A's in the fourth round of the 1976 amateur baseball draft, but he also received more than a dozen college football scholarship offers. After deferring the decision-making to his mom, who worried that her son was too small for football, he signed with the A's and made an immediate impact in the minor leagues. Halfway through the 1979 season, he received the call to join the Oakland outfield. Henderson batted a solid .274 with 33 stolen bases over the remainder of the 1979 campaign with Oakland, and by the following season it was clear he was a special player. He stole 100 bases to set a new American League record, and by using an exaggerated crouch in the batter’s box, he compiled 117 walks for an outstanding .420 on-base percentage. He also used his speed to run down every ball in his vicinity in left field, earning a Gold Glove Award for his defense in 1981. In 1982, Henderson blew past Hall of Famer Lou Brock's big-league record of 118 stolen bases en route to the seemingly untouchable mark of 130. Although he was earning a reputation for his showmanship, Henderson was also a smart player who recognized the need for greater efficiency; the following year, he added another 108 thefts while slicing his caught-stealing total by more than one-half. Traded to the New York Yankees after the 1984 season, Henderson dazzled the Big Apple fans in 1985 by batting .314, with 24 home runs, 80 stolen bases and an incredible 146 runs scored. He was limited to just 95 games by hamstring injury in 1987, and as such had his streak of seven consecutive stolen-base crowns snapped, but he returned to set a team record with 93 steals in 1988. 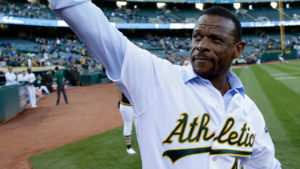 Following a lackluster first half of the 1989 season, Henderson was reignited by a trade that returned him to Oakland, where he helped bring the A's to the World Series, which they won in a four-game sweep of the San Francisco Giants. The following year Henderson batted .325 and wound up leading the league in steals (65), runs (119) and on-base percentage (.439), and earned the AL MVP honors, again helping bring the A's to the World Series (although this time they would be swept by the Cincinnati Reds). On May 1, 1991, Henderson achieved the inevitable when he surpassed Brock's all-time record with career stolen base No. 939. 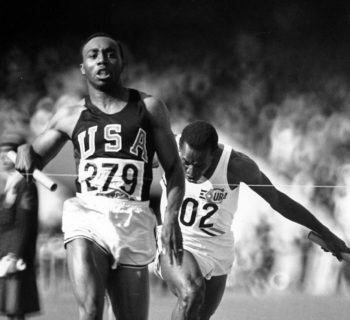 True to form, at the end of a speech to commemorate the moment, he announced, "Today, I am the greatest!" After a trade to the Toronto Blue Jays in the second half of 1993, Henderson won his second World Series championship. 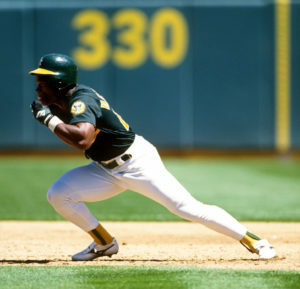 He re-signed with the A's for two more years, and following stints with the San Diego Padres and Anaheim Angels, the 39-year-old returned to Oakland in 1998 and led the league in steals for the 12th time. Henderson went on to play for the New York Mets, the Seattle Mariners, the Boston Red Sox and the Padres for a second time. Unsigned by the start of the 2003 season, he joined the Newark Bears of the independent Atlantic League, before finishing the season with the Los Angeles Dodgers. Henderson played two more seasons of independent baseball, eventually conceding that he wouldn't return to the Majors, despite never formally announcing his retirement. 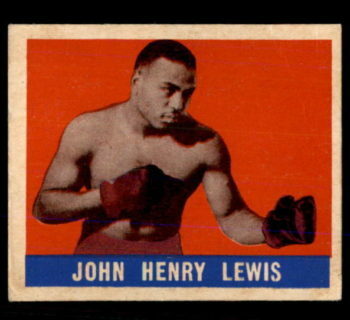 He finished as baseball's all-time leader in stolen bases (1,406), runs (2,295) and walks (2,190) and was the 25th player to reach 3,000 hits. Henderson joined the Mets organization as a special instructor in 2006 and became the team's first-base coach in 2007. In 2009, Henderson was elected to the Baseball Hall of Fame in his first year of eligibility. He was named on nearly 95 percent of the ballots, one of the highest percentages of all time. In recent years, the baseball great has served as a roving instructor in the A's organization, imparting his hitting and baserunning advice to minor league players.